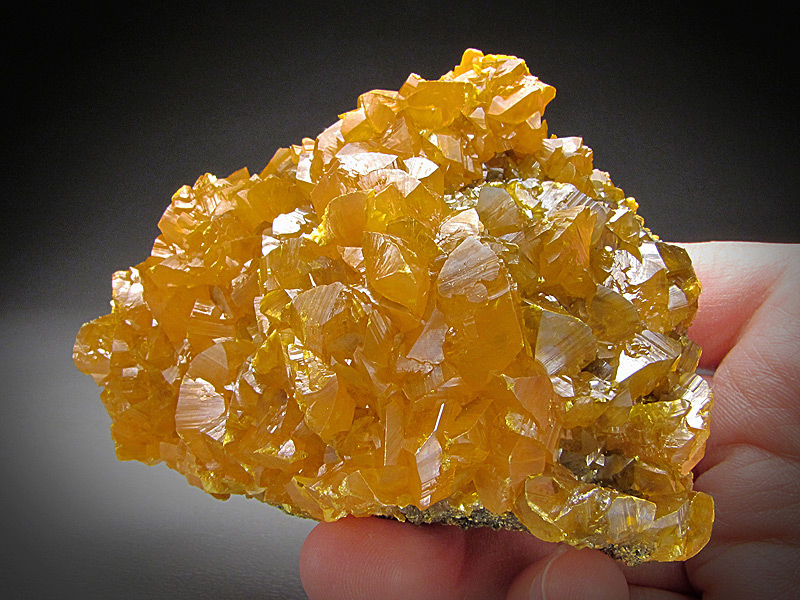 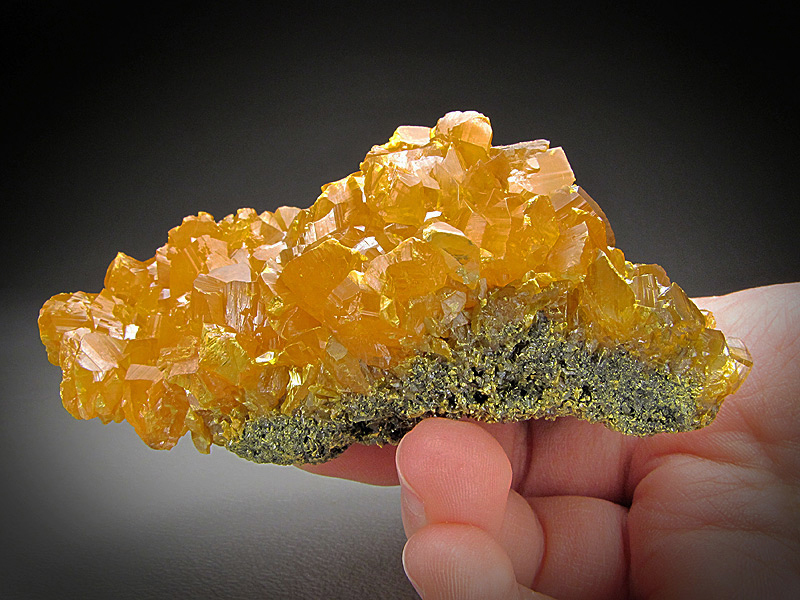 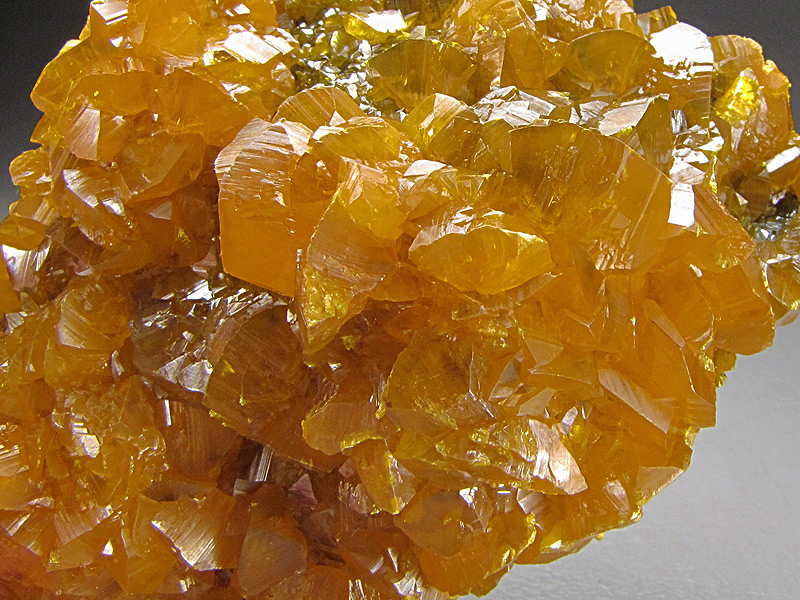 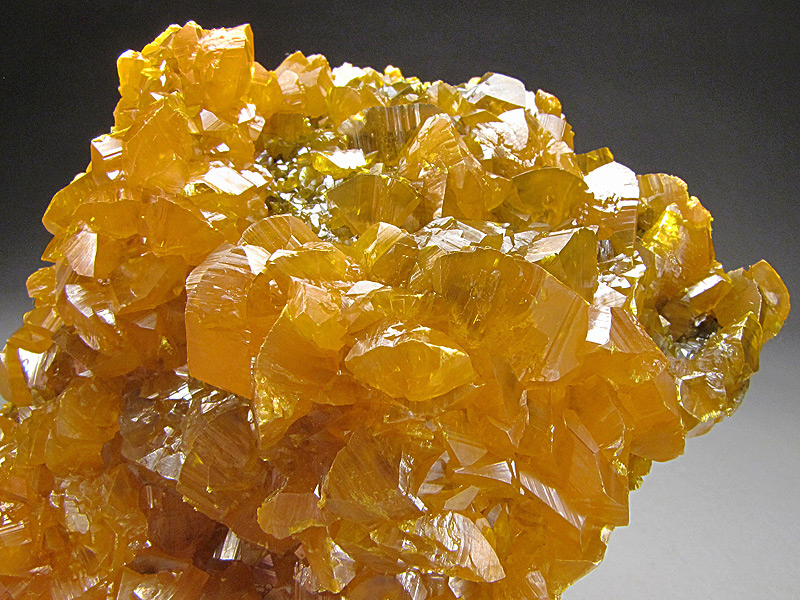 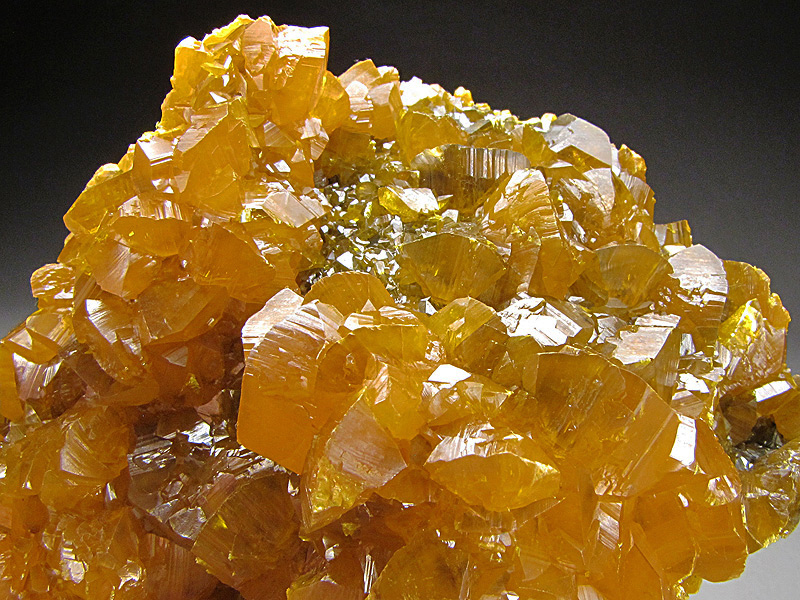 This is a plate of good sized, lustrous, orange orpiment crystals. 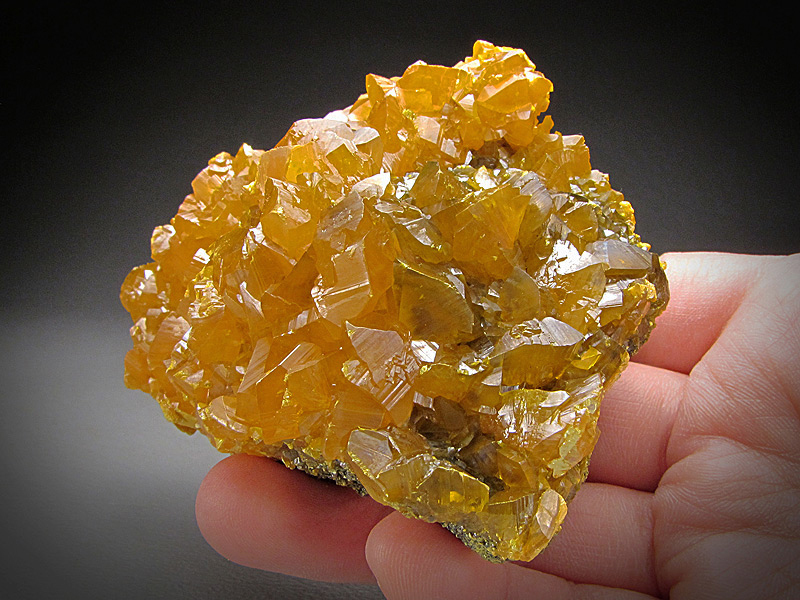 The overall dimensions of the piece are 8.4 cm wide by 6.1 cm tall and 3.7 cm front to back. 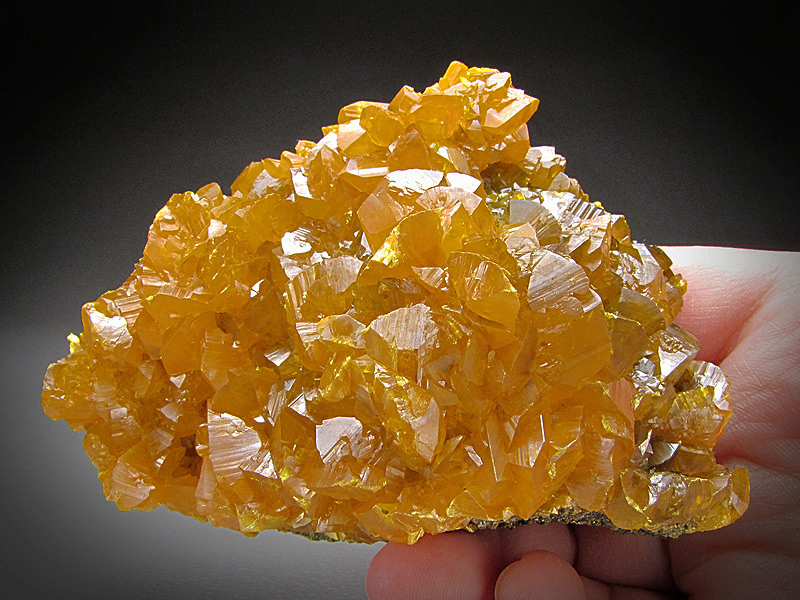 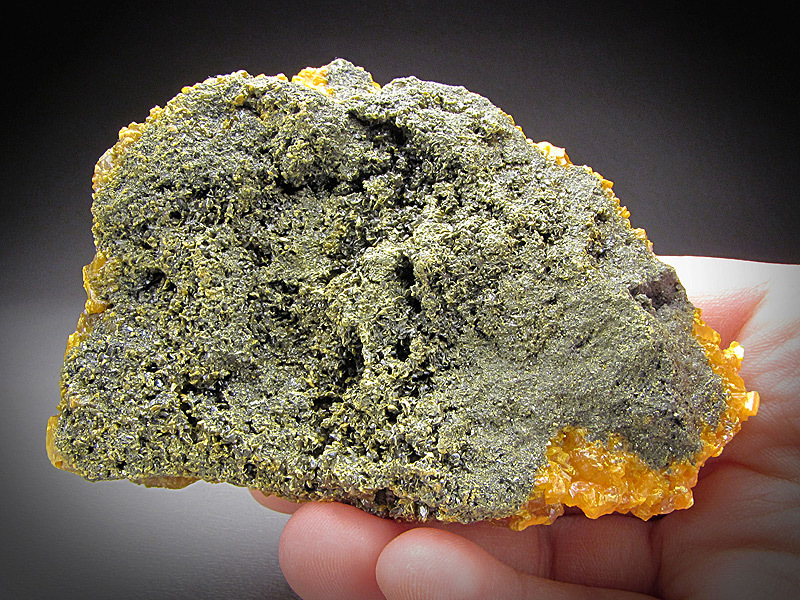 The locality for this mineral is Cut 62, Twin Creeks Mine, Potosi District, Humboldt County, Nevada, USA. 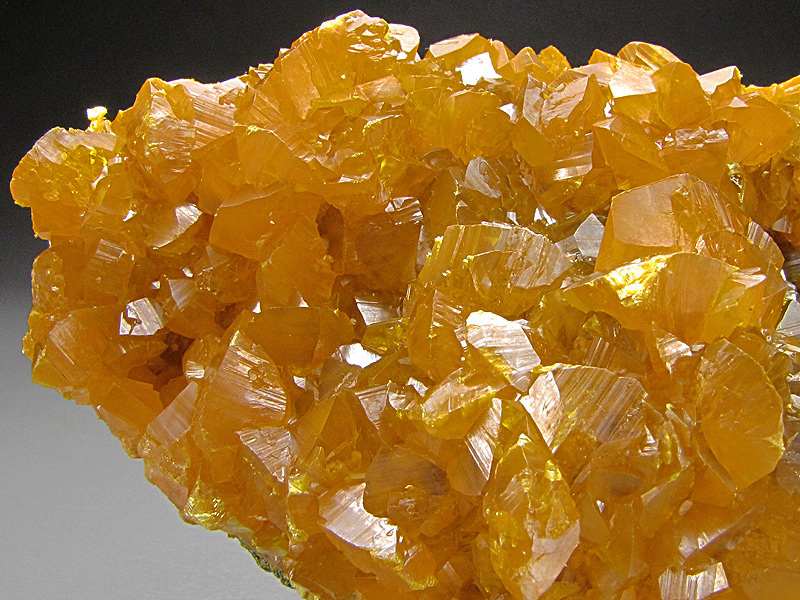 There is a little scuffing of a few crystal edges.